*Eligible on the lease or purchase of any MY 2017/18 Jetta, GTI, Tiguan, or Tiguan Limited. 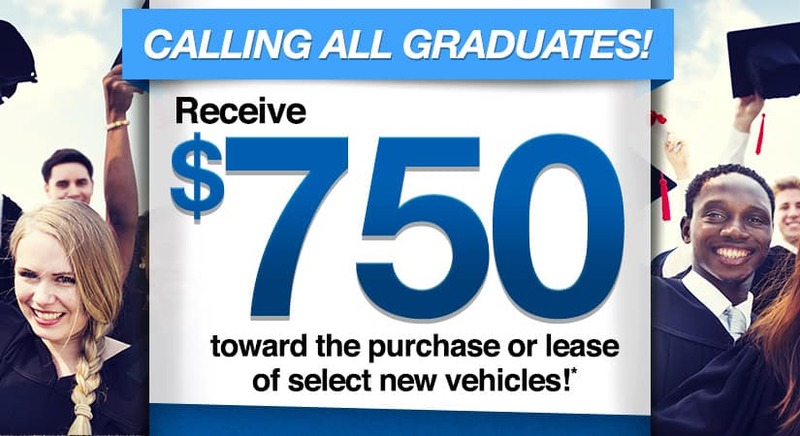 Eligible customers will receive a $500 contract bonus and Volkswagen of America is adding a $250 bonus enhancement for the Northeast Region only. Must finance through Volkswagen Credit, Inc. The College Graduate Program is subject to credit approval and is available to U.S. citizens or permanent residents who graduated from a U.S. or Canadian accredited college/university no more than 24 months prior to credit application. Applicant must be employed in a full-time permanent position or have a written commitment from a future employer. References, proof of income, copy of degree or official transcript, and contact information for college/university required. Credit history is not required, but existing credit must be in good standing and have no previous derogatory credit. Not redeemable for cash. Expires 5/31/18.